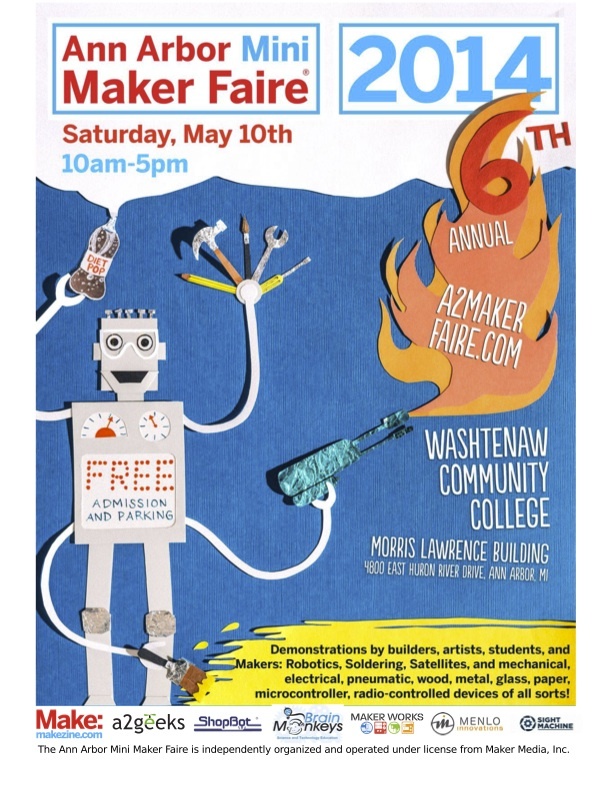 You’re coming to the Ann Arbor Mini Maker Faire on Saturday, right? We’ve got robotics, soldering, artist, students, hands on stuff, a speaker series and more! Also, the A2Geeks Annual Meeting will be at 2:30pm at Mini Maker Faire.